Editore: World Rider Publishing & Press – Lingua: inglese – Autore: Allan Karl. It’s an adventure story, a photo-book, and a cookbook, with inspired travel writing, amazing personalities, beautifully revealing photography, and tasty recipes from all over the world. Think of it as a blend of Anthony Bourdain, Paul Theroux, and National Geographic Adventure in a full-color, high-quality book that brings the splendor of the world into your home and onto your table. 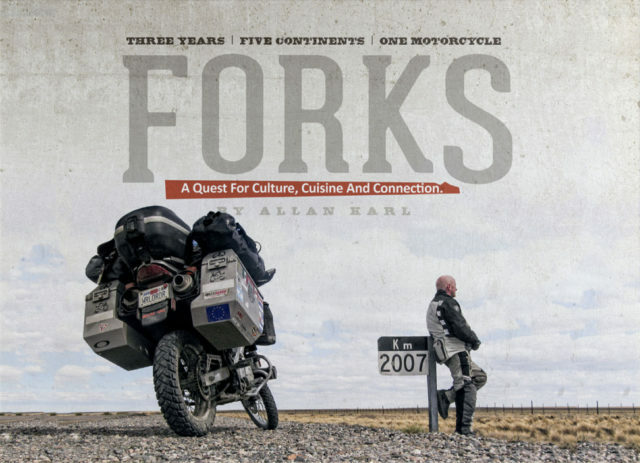 Allan Karl quit his job and the company he founded, sold all he owned, and traveled around the world for three years—alone on a motorcycle. After three years of traveling through thirty-five countries on five continents he returned to his home in Southern California committed to share his experiences with everyone. 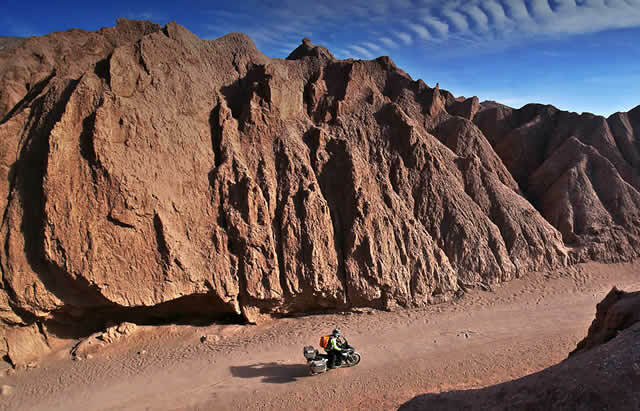 His around-the world-adventure will be uniquely brought to life in a new book to be published in the fall of 2013. It’s an enlightening adventure with stunning photos, multiethnic recipes, and surprising stories all wrapped into an extraordinary high-quality, full-color hardcover book. The book follows Allan as he leaves his home in California and heads to the top of the world, the end of the road, in Alaska at the Arctic Ocean, then to the bottom of the world, the end of the road in Tierra del Fuego and onward through thirty-five countries on five continents. FORKS includes about 40 recipes from thirty dive countries. These are true ethnic recipes, many considered the national dish from each of the countries Allan visited. All recipes are richly photographed and include large images so emerging global chefs can see what the recipe should look like. As a solo and overland traveler, Allan was forced to break through boundaries of culture, religion, language and more. In the stories readers are treated to a cast of characters and surprising coincidences that beg more questions about our world and its humanity.